2017 is a year of the Rooster according to the Chinese 12-year animal zodiac cycle. Other Rooster years include: …1921, 1933, 1945, 1957, 1969, 1981, 1993, 2005, 2017… If you were born then you’re a Rooster. Each Chinese zodiac year begins on Chinese New Year's Day. In 2017, most Chinese will be off work 7 days from Sunday, January 27 (New Year's Eve) to Thursday, February 2 (Chinese New Year day 6). 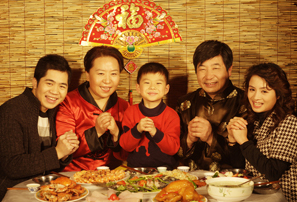 The New Year is A Festival for Family – Chinese get together and enjoy family time. Most of the decoration is traditionally done on Chinese New Year's Eve. As 2017 is the year of rooster, decorations related to roosters will be commonly seen. 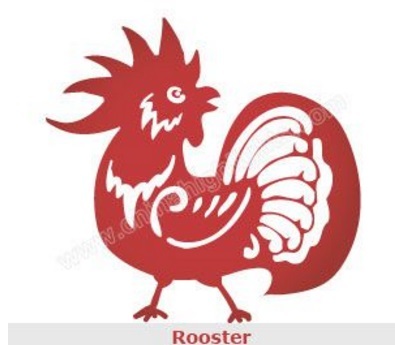 There are red rooster dolls for children and New Year paintings with roosters on.